Specialise in conference presentations in task-based language teaching, design, writing and procedural instructions design. Currently making confernce presentations on task-based language teaching with 3D Printing, LEGO design and scanning. Roy, D. Logistics of TC Project Collaboration between Germany and Japan: An Experience Report. Paper presented at the IEEE ProComm 2019 Conference. IEEE Press. Aachen, Germany. (Forthcoming, IEEE Press). Roy, D. Workflow Organization with Film Production Management Software: CALL in a Technical Communication Context. Paper presented at the JTCA Annual Symposium, Tokyo, August 26-28. Roy, D. (2018). Developing Analytical Reasoning with the use of Concept Mapping Software in an EFL Business English Classroom in Japan. Paper presented at the Annual JALT CALL Conference, June 8-10, Nagoya. Roy, D. (2018). Using Concept Mapping Techniques to teach Business Communication. Paper presented at the Annual JTCA International Conference. Kyoto, October 4. Roy, D. (2018). Developing Entrepreneurial Abilities with ICT and Technical Presentations. Paper presented at the ICIET 2018 Osaka Conference. January 6-8. Roy, D. (2018). Project-based Language Learning in a 3D Printing Context. Paper presented at the ICIET 2018 Osaka Conference. January 6-8. Roy, D. (2018). 3D Printing and Concept Mapping in a Language Learning Context: The Student Projects. Presentation made at the ACM Chapter Conference on Fukushima Revitalization and Project-based Language Learning. Roy, D. (2018). Developing Globalization and Entrepreneurship in the English Language Teaching Context in Japan. Paper presented at the 13th Annual Education and Development Conference, Bangkok. March 5-7. Roy, D. (2018). Monitoring Poverty with Technology: Designing Social Decisions with Language Pedagogy. Paper presented at the Annual Poverty and Social Protection Conference, Bangkok. March 9-11. Roy, D. (2017). Developing the Concept of Globalization in an English Language Teaching Context. Presentation made at the IEEE Professional Communications Society Japan Chapter Conference. December 2. Roy, D. (2017). Content areas in 3D Printing-based Language Teaching with Technical Writing Focus. Presentation made at the JTCA Annual Symposium, Tokyo. Roy, D. (2017). 3D Printing for Multidisciplinary Education: A Technology with Diverse Potential. Presentation made at the INTED 2017 International Conference, Valencia, Spain. Roy, D. (2017). Using Design Pedagogy with LEGO and CAD Software in a Task-based English as Foreign Language Teaching Context. Presentation made at the INTED 2017 International Conference, Valencia, Spain. Roy, D. (2017). Living in a Multicultural Society. Presentation made at the Fukushima Global Seminar, JICA. Nihonmatsu, Fukushima. September 23. Roy, D. (2016). 3D Printing-based Initiatives in a Developing Economy Context: A Holistic Approach. Paper presented at the ACM-IEEE ICIIT Conference. Colombo, SL, March 4-5. Roy, D. (2016). Understanding Visual Systems and Patterns in Technical Illustrations. Paper presented at the OCRD International Conference on Education and Social Sciences, Bangkok, July 23-24. Roy, D. (2016). Introducing University of Aizu and the Upcoming Technical Communication Curriculum. Presentation at the JTCA Japan-Germany International Exchange Seminar, Kogakuin University, Tokyo, August 22nd. Roy, D. (2016). Using iPad for 3D Scanning, Design and Technical Documentation: A Perspective in Task-based Language Teaching. Paper presented at the ACM SIGDOC Conference, Washington DC. September 21-23. Roy, D. (2016). Task-based Technical Communication with 3D Printing-based Initiatives in a Foreign Language Teaching Context. Paper presented at the Annual Technical Communication Symposium, Kyoto, Japan, October 8-10. Roy, D. and Yasuta, T. (2016). 外国語教育における３Dプリンティングベースのプログラムを用いたタスクベーステクニカルコミュニケーション. Paper presented at the Annual Technical Communication Symposium, Kyoto, Japan, October 8-10. Roy, D. Design Education in Creative Factory Contexts for Task-based Language Learning. Paper presented at the Annual JTCA Technical Communication Symposium, October 9. Roy, D. and Kuwada, K.タスクベース英語学習を目的とした創造的制作環境におけるデザイン教育 Paper presented at the Annual JTCA Technical Communication Symposium, October 9. Roy, D. Efficacy of Technical Illustrations in a Technical Communication Environment.Paper presented at the IAFOR Asian Conference on Media and Mass Communication, November 13 – 16, 2014, Osaka, Japan. Roy, D. Designing Optimal Viewpoints in Technical Illustrations. Paper presented at the IAFOR Asian Conference on Media and Mass Communication, November 13 – 16, 2014, Osaka, Japan. Roy, D. Perception of Objects in Technical Illustrations. Paper presented at the Annual TC Symposium, August 25, 2014, Tokyo, Japan. Roy, D., and Crabbe, S. (March 2014). How Current Working Memory and Interactive Interfaces could Influence Information Retrieval from Long-term Memory in English as Foreign Language Learning Context. Poster presented at the Language in Focus Conference, Antalya, Turkey. Roy, D., Crabbe, S., and Lubashevsky, I. (March 2014). Importance of Situational Context and Response in Memory Recall: Reader Performance in English as Foreign Language Learning Context. Poster presented at the Language in FocusConference, Antalya, Turkey. Roy, D. December 2013. Usability Testing for Learning Management Systems. Keynote speech at ELearning and Technical Communication Conference, University of Moratuwa, Colombo, Sri Lanka. Roy, D. November 2011. Designing procedural information for user manuals: A case study with circuit graphics. Paper presented at the IEEE Professional Communication Society Japan Chapter Meeting. Roy, D. March 2011.Representing Procedural Visuals in Concept Maps with Minimal Text: An Innovative Approach Towards Information Processing in EFL Context. Paper presented at the International Journal of Arts and Sciences Conference, Malta. Roy, D. March 2011. A Discussion of the Pedagogical Issues in Designing Collaborative Systems in EFL-based Business and Technical Writing Courses. Paper presented at the International Technology, Education and Development Conference. Valencia, Spain. Roy, D. March 2011. An Argument on the Use of Eye Tracking and Think-aloud Protocols as Mutual Support Systems for Usability Testing. Paper presented at the International Technology, Education and Development Conference. Valencia, Spain. Roy, D. 2011. Designing Concept Maps from Procedural Visuals: An Innovative Approach Towards Information Processing in EFL Context. Paper Presented at the International Journal of Arts and Sciences Conference, Malta. Roy, D. December 2010. Perception of Objects in Technical Illustrations: A Challenge in Technical Communication. Paper presented at the IEEE PCS-J Annual Meeting, Nagano City, Japan. Roy, D. July 2010. Concept Map-Oriented Technical Writing Approach for Computer Science Majors in an EFL Context: Understanding Text Applications in an Experimental Study. Paper presented at the IEEE Professional Communication Society Annual Conference, Netherlands. Cortez, P, Roy, D and Vazhenin. A. (2010). Mobile Assisted Language Acquisition. An Overview of the Field and Future Opportunities Based on 3G Mobile Capabilities.Paper presented at the 1st ACM Chapter Conference on E-learning and Technical Documentation. Aizu, Japan. Roy, D.July 2010. Reading Strategies for Procedural Information in EFL Business Writing Environment: An Exploratory Analysis. Paper presented at the IEEE Professional Communication Society Annual Conference, Netherlands. T. Chaminda, Basnayake, A and Roy, D. 2009. Localizing Japanese Product Information in English for Internationals. Issues in Technical Writing and Usability.Paper presented at the 1st Technical Meeting in Elearning and Usability, Aizu, Japan. Roy, D 2009. Designing EFL-based Business Communication Course in a Virtual Learning Environment: A Work in Progress. Paper presented at the 12th Humans and Computers Conference. Shizuoka, Japan. Roy, D. June 2009. Designing Complex Instructional Situations: Paper presented at the International Journal of Arts and Sciences Conference. Bad Hofgastein, Austria. Roy, D. June 2009. Off-shoring Technical Writing Projects to India: Studying the Potential in an Emerging Market. Paper presented at the International Journal of Arts and Sciences Conference. Bad Hofgastein, Austria. Roy, D. March 2009. Exploring the Usability of Collaborative Interfaces and Users’ Preference in Combining Resources for Technical Document Production. 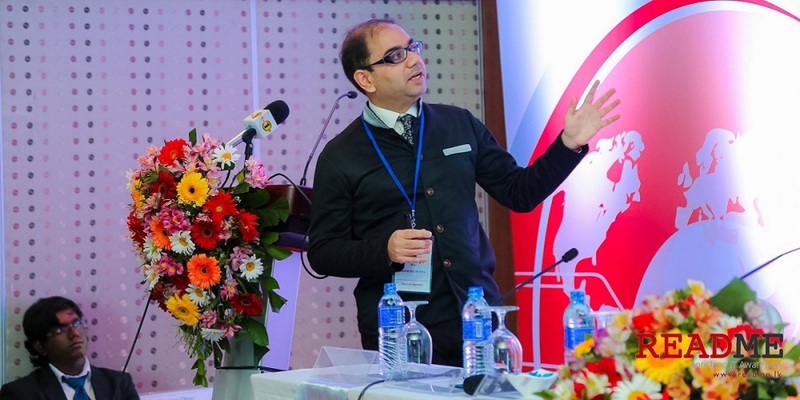 Paper presented at the International Technology, Education and Development Conference. Valencia, Spain. Roy, D. and Brine, J. March 2009. Intelligent Graphics and Media Richness: Redefining Text as a Medium. Paper presented at the International Technology, Education and Development Conference. Valencia, Spain. Roy, D. 2009. Designing Complex Instructional Illustrations: A Case Study with Patient Education Modules. Paper presented at the IEEE Professional Communication Society Japan Chapter Annual Conference. Tokyo, Japan. Roy, D & Brine, J. 2008. Structured Authoring of Technical Documents through Systematic Collaboration in Using Open-Source Technologies. Paper presented at the 7TH IASTED International Conference on Web-based Education, Innsbruck, Austria. Roy, D. 2008. Designing Instructional Graphics for Surgical Education. Paper presented at the IASTED International Conference on Internet and Multimedia Systems and Applications, Innsbruck, Austria. Roy, D. 2008. Exploring the Usability of Collaborative Technologies and Users’ Preference in Combining Resources for Technical Document Production. Paper presented at the IEEE IPCC, Montreal, Canada. Brine, J. and Roy, D. 2007. Using Open Source Systems to Teach Technical Document Production in a Japanese University. Paper presented at the IEEE PCSJ Seminar, Aizu-Wakamatsu city, Japan. Roy, D and Johnson, N. 2007. Using Knowledge Models for Designing Problem-solving Activities in a Technical Writing Course. Paper presented at the IEEE PCSJ Seminar, Aizu-Wakamatsu City, Japan. Brine, J, Wilson, I and Roy, D. 2007. Technology-Mediated EFL in a Japanese IT University. Paper presented at the 7th International Conference on Computers and Information Technology Aizu-Wakamatsu city, Japan. Roy, D. 2007. Designing an Experimental Study to Explore Spatial Representations in English Software Manuals for Non-native Speakers. Paper presented at the IEEE IPCC conference, Seattle, WA. Roy, D. 2006. Text-Graphic Instructions that Help Readers Mentally Animate Procedures: A Case Study with Surgical Patient Education Modules. Paper presented at the IEEE IPCC conference, Saratoga Springs, NY. Roy, D. 2006. Text-Graphics Instructions for Surgical Procedures. Paper presented at the Southwest Texas PCA / ACA conference, Albuquerque, NM. Roy, D. 2004. Role of Technical Communication in Minimally Invasive Surgical Training. Paper presented at the HumaniTech Graduate conference of University at Albany. Albany, NY. Roy, D. 2004. Designing Text-Graphics Instruction for Minimally Invasive Surgical Training. Paper presented at the Symposium at Syracuse University, Syracuse, NY. Roy, D. 2003. A Self-Paced Approach to Hypermedia Design for Patient Education. Paper presented at the ACM SIGDOC conference, Memphis, TN. Roy, D., & Grice, R. 2003. Content Management Strategy and Heuristic Evaluation of a Model Electronic Portfolio. Paper presented at the IEEE IPCC conference, Orlando, FL. Roy, D and Sharp, D, M. 2003. Reader Perceptions in Sequencing Procedural Graphics of Complex Machines. Paper presented at theIEEE IPCC conference, Orlando, FL. Roy, D. 2003. Reader Perceptions in Sequencing Procedural Graphics of Complex Machines – A Case with Random and Partially Random Design. Paper presented at the International Visual Literacy Association conference, Providence, RI. Roy, D. 2003. Text Variety for Spatial Visualization of Procedural Sequential Graphics: A Case Demonstrating Minimally Invasive Surgery Techniques. Poster presented at the SBRL conference at RPI, Troy, NY. Krull, R., Roy, D., D’Souza, S., and Morgan, M. 2003. User Perceptions and Point of View in Technical Illustrations. Paper presented at the Proceedings of the Society for Technical Communication, Dallas, TX. Krull, R., Sharp, D, M., & Roy, D. 2003. Canonical Views in Procedural Graphics. Paper presented at the Proceedings of the IEEE IPCC, Orlando, FL.